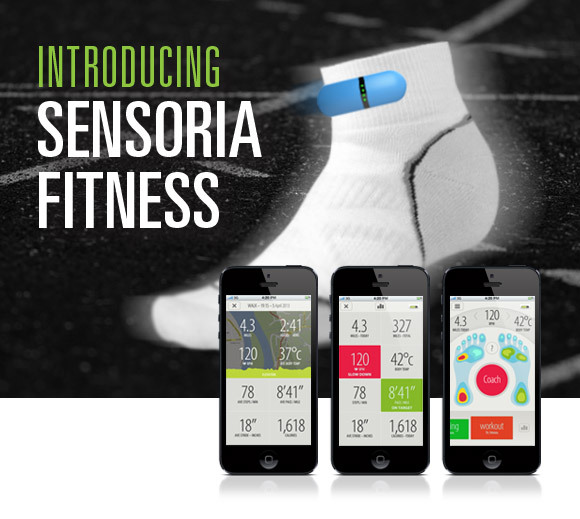 So unless you have been living under a rock, I am sure you have heard of the ‘smart sock’, Sensoria Fitness. Heapsylon, the company behind Sensoria, sent me a prototype of Sensoria Gaming. Sensoria Gaming seeks to leverage the smart fabric and enable it to do much more than track your workout. The sock is able to isolate the pressure over different areas of your foot, allowing for unique inputs. The sock is super accurate and this lends itself to many applications. You can generate pressure heat maps and watch how pressures changes with balance. Sensoria Gaming gives the tools to use this input in a new setting, both in software applications and physical products. Sensoria has a bit of time left on Indiegogo if you want to get in on it. This is not my only hack with the smart sock, so rest assured, more cool projects are coming. Happy New Year! 2012 is here and I have some new code to celebrate the holiday! The Dexter Industries dWifi sensor has opened up a whole new world for LEGO MINDSTORMS. For those of you who have looked at the sensor, you will notice it requires that a “newline” character (decimal 13). The dWifi also likes each byte to be sent individually. To cope with these requirements, I have posted a block that does all the work for you. As you can see from the screen capture on the right, there is a simple loop to send each byte (including the newline byte added to your string). The file is posted and is live now on the Files page of my blog. You can use the regular Set Speed and Read VIs that come with the RS485 2.0 download. Stay tuned for more dWifi LabVIEW and NXT-G updates! I am happy to report that I have pass my Certified LabVIEW Architect exam! This meas that I have reached the highest level of LabVIEW certification. 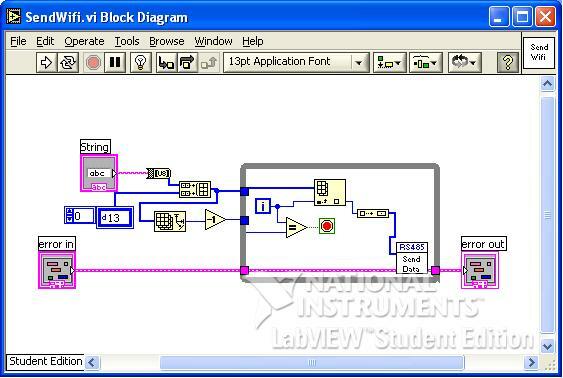 If you are interested in LabVIEW certification check out ni.com. 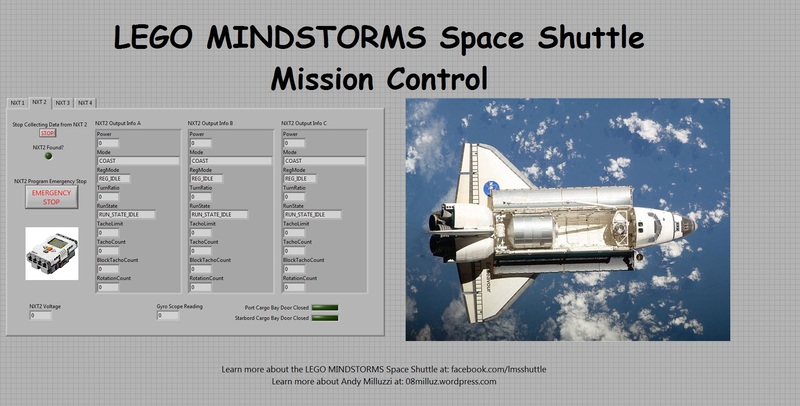 The LEGO MINDSTORMS Space Shuttle is gearing up for NIWeek and to get ready for the event, I have developed a new debug interface. Originally designed for me to keep track of all the motors and sensors during an event, this interface serves as Mission Control for the LMS Shuttle. It provides the ability to stop a program should the conditions get too dangerous as well as view real time data off each NXT. The “guts” of this interface have been around for a while but I decided to clean up the UI for NIWeek. I plan to continue to develop this screen by adding the ability to switch from remote control to autonomous mode and add some manual drive features. Dare I say a late Christmas in July? 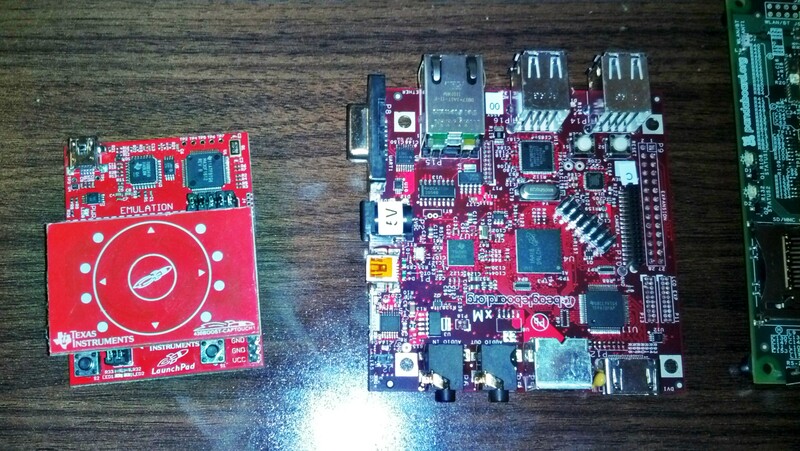 Today the mailman brought me two new toys that I have been looking forward to getting my hands on.The gentlemen over at Mindsensors.com and OpenElectrons.com sent me a rather nice gift. First up is the Teemino. As you may know, I recently got a DRIOD cell phone. I have been wanting to play with the ADK for a while now, but never had any hardware. 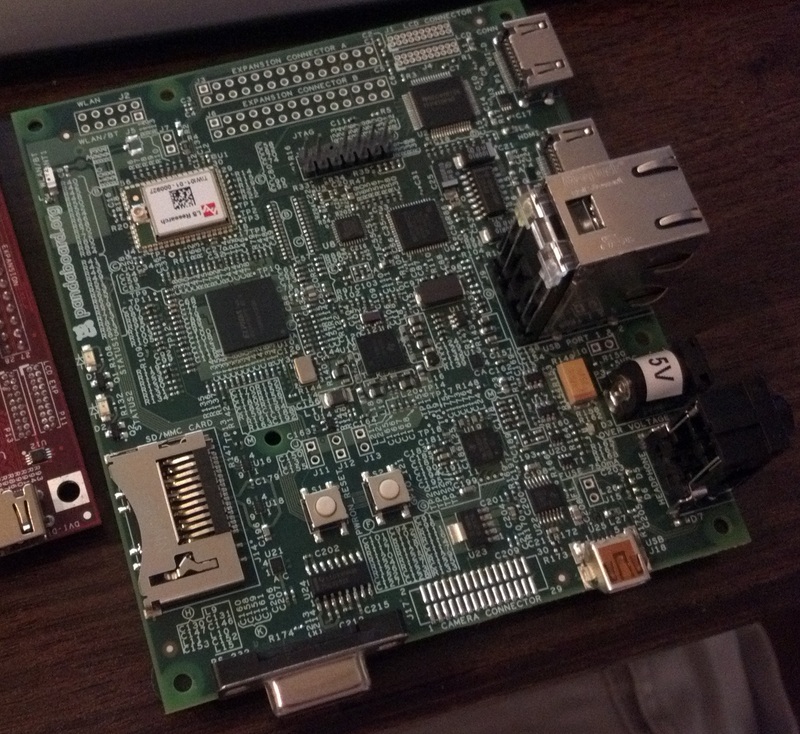 The Teemino is an ADK board made by OpenElectrons.com. I have a few projects in mind for this board, but I want to start simple (just blinking a light). Check back for more updates with this board. The next item probably deserves a whole post in itself. The NXShield is an Arduino shield that replicates (most) of the NXT. The shield has not 3, but 4 motor ports and 4 sensor ports. 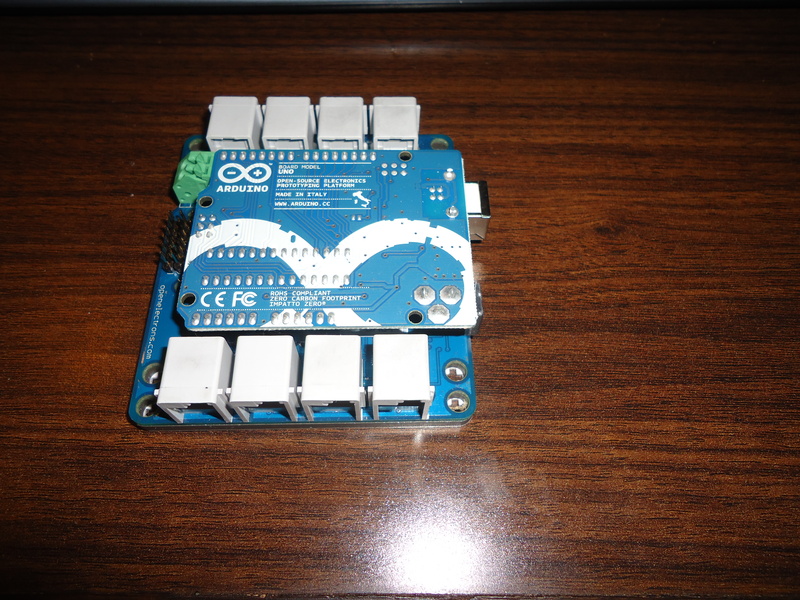 It fits the Arduino Uno or similar form factor. (It actually wont fit the Arduino Mega or Teemino due to a power jack on the board.) 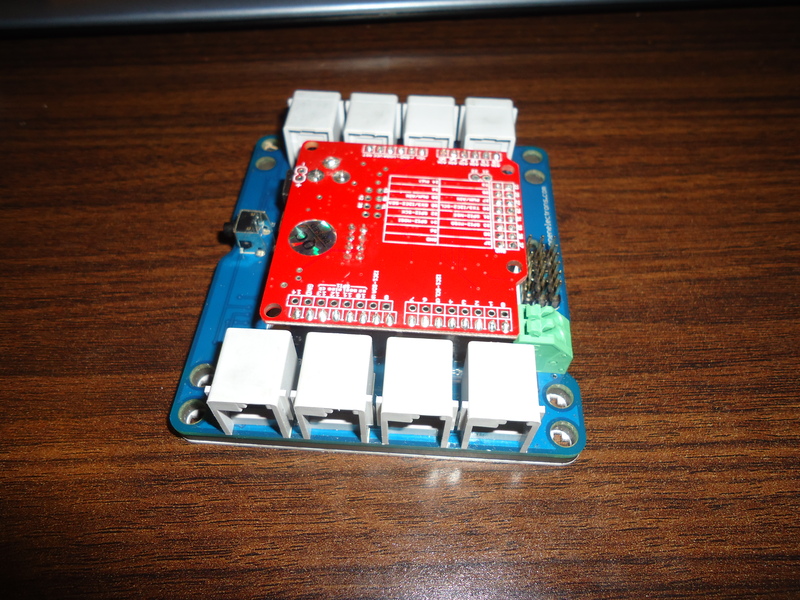 The motors and sensors are controlled via I2C. 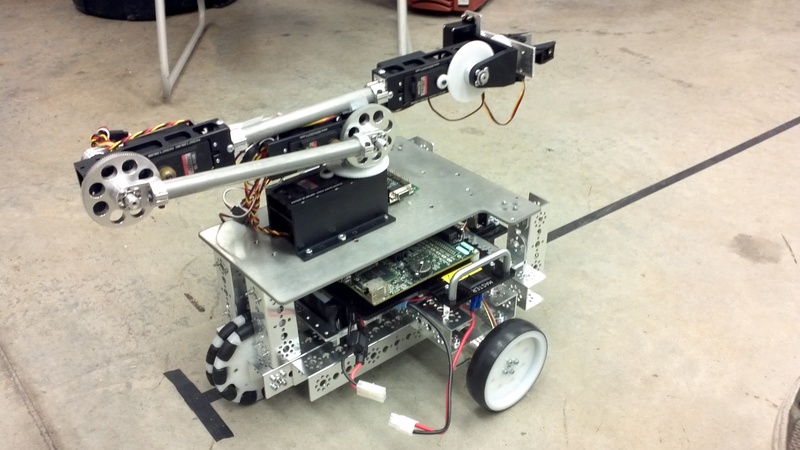 Furthermore, since it is Arduino, you could stack in an xBee shield (or other custom shield) and make a modular robot. Maybe make a NXT to NXShield communication using a Dexter Industries NXTBee? 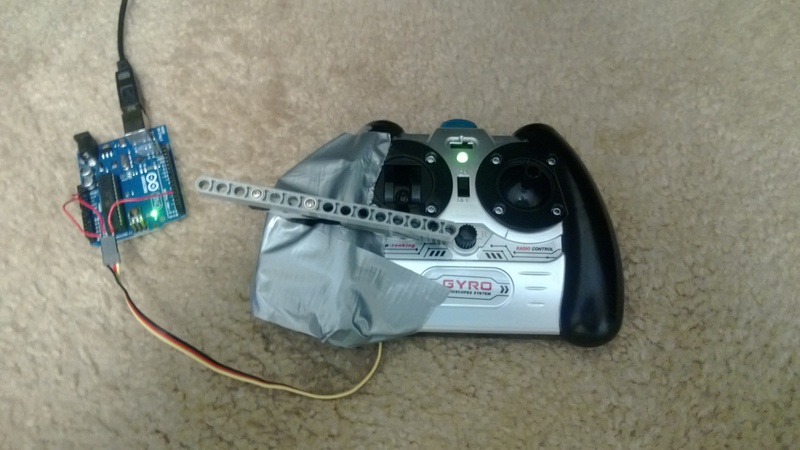 Or we could even mix in that GPS Bee I posted about. With the Arduino platform, the possibilities are endless! Now just adding a motor port is awesome, but the NXShield has 6 servo motor headers. This means it can really drive just about anything. It would seem the Arduino is now the limiting factor in the system, but what did I say about fitting Arduino form devices??? Well the NXShield does in fact work with Maple (and a few other Arduino boards). Currently the libraries are only for the Arduino, but I plan to do some porting to make it all work together. I will be sure to post my library on the files page as well as some code examples. Speaking of porting, there is another platform this could work with. By now you have to be wondering when I am going to mention National Instruments or LEGO. Well fear not! National Instruments released a LabVIEW for Arduino toolkit. It has support for I2C (as well as GPIO and SPI). See where I am going yet? You could actually use the NXShield with an Arduino running LabVIEW. Expect some VIs and code examples to get you started there as well. So WOW! What a day and what an opportunity! I cant wait to get started!